Immigration Authorities have made an announcement regarding the implementation of new nomination requirements for Significant Investor program of South Australia. They aim to make the region an attractive destination for living and investing. 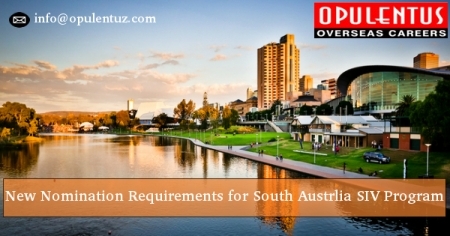 South Australia Immigration will accept nomination applications for subclass 188c which satisfy the following requirements. A Commitment to invest A$5 million in accordance with investments defined by the Australian trade investment framework. Show that the applicant has a commitment to living and investing in South Australia. The applicant has to meet nomination criteria of Immigration SA and the eligibility criteria of DIBP.